Training the way you race – what a gem! I came across this brilliant swimming article recently on social media. It is a great read, for swimmers and coaches alike. The message is clear, and gives guidance on how swimmers should approach their training sessions – with focus on flawless technique – if, they want that to carry over to their competitive swims. As a coach, I am not a fan of using elite and super elite swimmers as models on which to base my own swim coaching tips and technical advice. Swimlab coaches mostly ‘adult onset’ swimmers, that are relatively ‘late’ starting their swimming journey. Hence their neuromuscular patterns and responses in water, are very different to those who have spent decades and thousands of hours swimming. 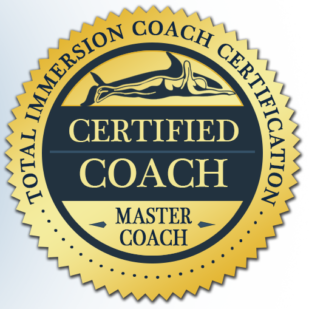 Consideration of this, and adjustment of technical principles allows far greater progress and success for me as coach. 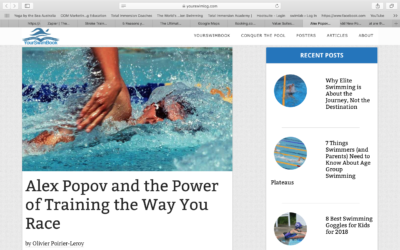 However this article is not about drilling down on technique – its about the mindset, a principled approach that any swimmer can take on board, and reap the benefits! Popov’s efficiency was developed with a relentless focus on technique in training. Placing an emphasis on swimming “slow” but with excellent form and target stroke rates at all times. 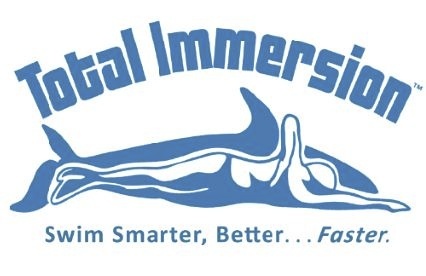 This statement reminds me so much of the late Terry Laughlin, founder and head coach at Total Immersion HQ in the US. Relentless in his pursuit to seek to become a better swimmer in every session…. he used to tell us to ensure that we got out of the pool a better swimmer than we got in. Even in one small aspect, a focal point, a drill, a practiced element of the stroke challenged under faster tempo or longer distance…. this for me, is what makes swimming highly engaging, utterly motivational, and a never ending path of mastery, a life long pathway! If interval times are too quick for you, and you feel your stroke lack control or the feeling that the wheels are spinning – slow down, drop down a lane. Stay mentally focussed during your swim.